In 2007 Christiane Gey started an intense period of research and investigation supported by several Indian help-organizations and institutions, which focus on host projects, education and the development of children. In her mind an idea of the project had started to take form so in the following months she contacted many organizations in order to find out the basic conditions and procedures necessary. The NGO I-India played a crucial role in this, they helped Childsrights with their beginnings. I-India is an experienced NGO based in Jaipur. Since Christiane knows the I-India kids, she was able to establish a close relationship with the founders. 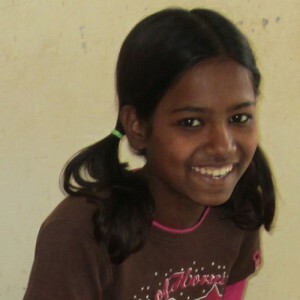 She became the godmother of a girl named Jeenat and through her help with the orphanage she was able to get a more profound understanding of the service I-India is providing. I-India is a NGO with almost 30 years of experience. Founded by a married Hindu couple Mrs. Abha and Mr. Prabhakar Goswami who themselves had a difficult childhood. Because of this, they understand very well the situation of the thousands of neglected children in India. Their strong commitment allows them to be serious and competent workers. The NGO I-India has a secure and well-managed structure. Up until now, they have managed dozens of projects according to the most important necessities of the designated communities. Childsrights began their activity with the help of I-India in 2008. They rented the first orphanage-home, called GANGA to provide food, education, medicine, shelter and a lot of love for twelve girls who were living in the streets and in the slums. Over time a close relationship between Childsrights and I-India was established.